Sew It Make It – April Competition Entries. What is your must have Sewing Tool/Aide to help you sew better ?? 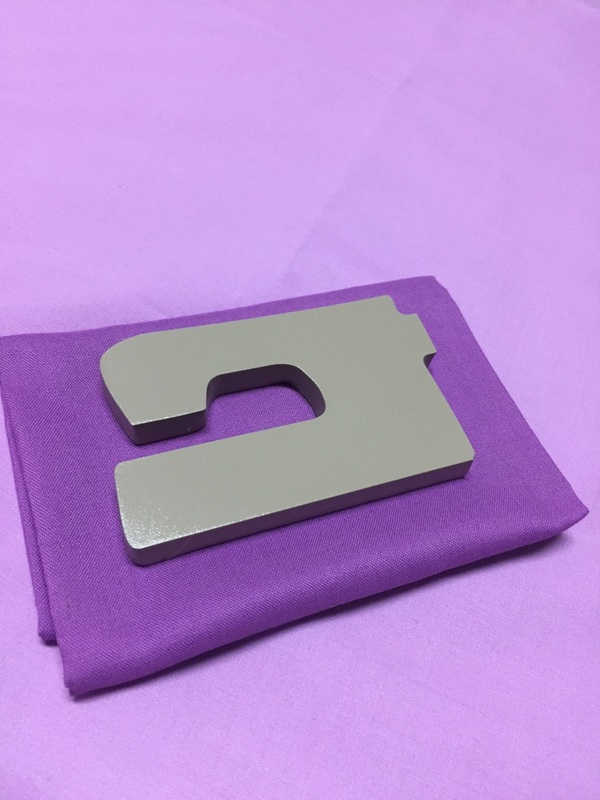 Entry 1 – Sewing Gauge by Fiona L.
One of my favourite tools for sewing is called a SimFlex Expanding Sewing Gauge. It is useful for quickly measuring equal distances, for example when marking button holes, locations for snaps, distance between pleats, pintucks and the like. I have four young children and do a lot of sewing. The pictures attached are of dresses for my daughter and niece. This little tool really makes a difference to the speed with which I can complete projects. It is also special to me as it was a gift from my husband that he found when researching online for a sewing gadget for Christmas for me one year. I had never seen anything like it. For someone who doesn’t sew, he certainly found a great tool! 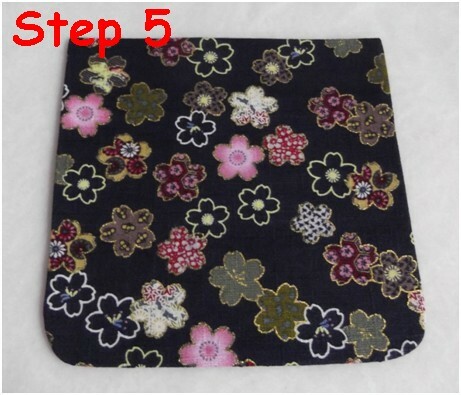 Entry 2 – Perfect Pockets by Deb G.
My “Must have Sewing Tools/Aides” are my pocket templates and my pinking shears. I like my jacket pockets to be lined so that all edges are enclosed leaving no fraying threads or bulky overlocked edges. They also sit & look much nicer on the jackets. 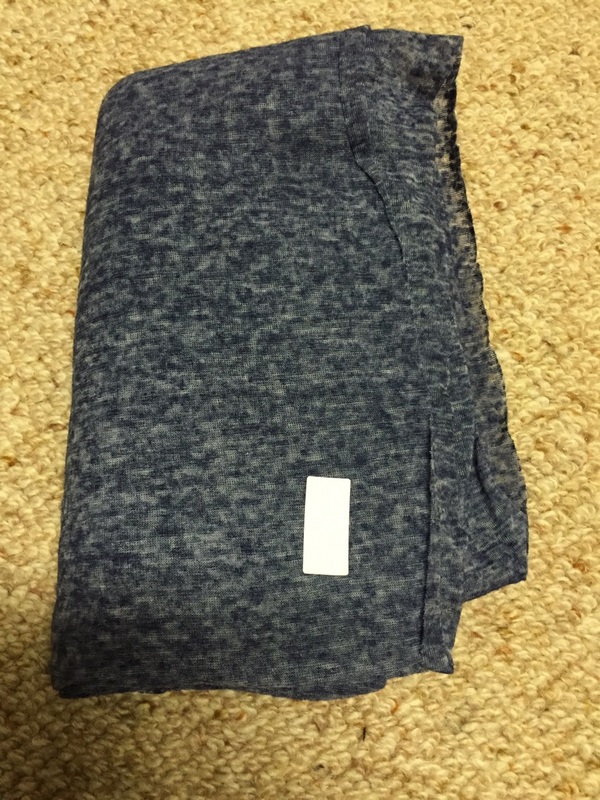 Step 1 – After being frustrated at not being able to get both pockets the same size and shape, I came up with the idea to make a template – I did one for large pockets and another for smaller ones. Step 3 – Then sewing the perfect curves is so easy – no unpicking & re-doing!! Step 4 – Now I use my pinking shears to do the cut-outs around the corners so when they are turned through they are nicely rounded and uniform. This saves so much time and messy little triangle pieces everywhere – I also use my pinking shears for necklines, collars and where ever I need to trim curves! 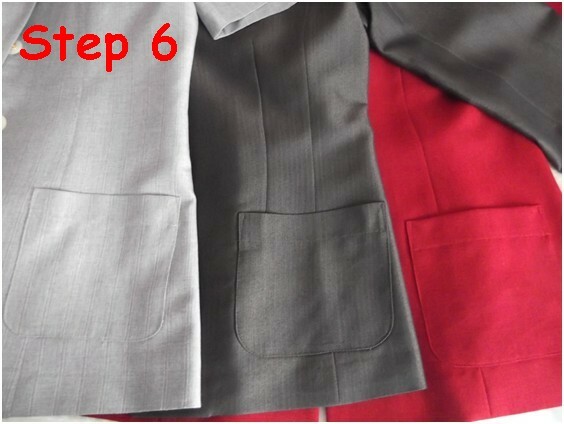 Step 6 – Examples on some of my other jackets. Thanks for allowing me to share my “perfect pockets” hints, I hope this can help others who like me, didn’t put pockets on their jackets as it was all too hard to get them the same size and shape. PS – I also use the same marking process for sewing keyhole openings at the back of my round neck shirts! Entry 3 – How many Pins ?? by Rachel G.
Hi Ann. My entry for favorite sewing tool is “pins” because apparently you can never use too many in your garment! ” Are 3 pins enough…. (and Kim B answered) – ” that is 2 too many !!!!!”….. Yes, my classes are “interesting” !!!! Entry 4 – Pattern Weights by Sharon H.
My husband and I designed and made pattern weights to assist me with my sewing. When I’m tracing or cutting out a pattern I always seem to need an extra pair of hands. The pattern weights assist me enormously. The pattern weight is made from steel and the sewing machine design is actually the outline of my own machine! Now I just need to make it look beautiful with some fabric from my stash! Entry 5 – My Sticker System by Sharon H.
The competition closes Tuesday 14th April for all entry submissions. Good luck to all entries!!! !